Are you searching for the most unusual gift idea you can find? Or just looking for a funny offensive present for your friend. We’ve got you covered. 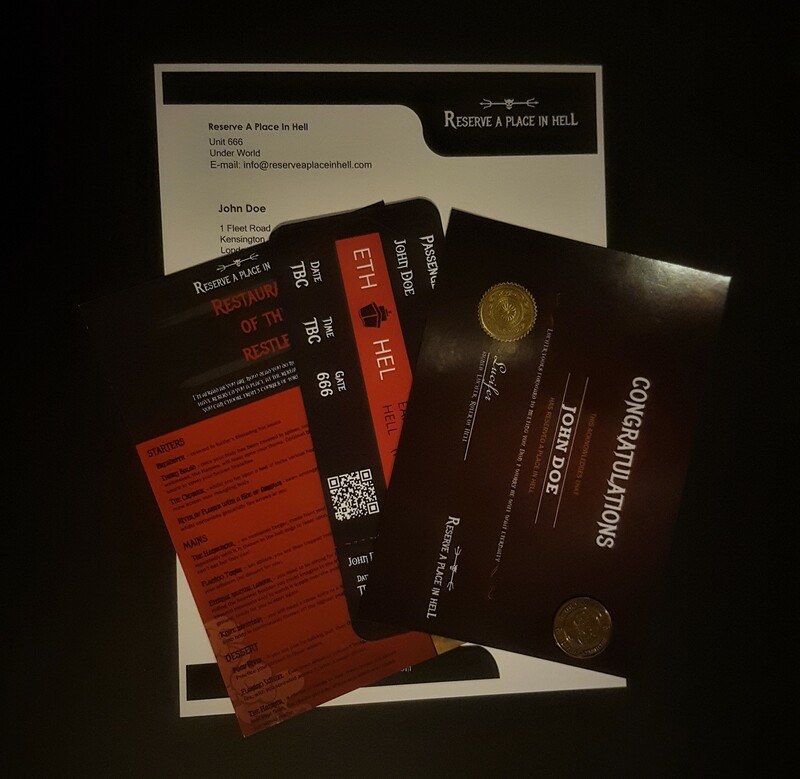 Whether its a brother, sister, boss or friend you can get them a personalised gift that is unusual, unique and will not be forgotten. Official Reserve a place in hell certificate. Official Reserve a place in hell Welcome letter. Official Reserve a place in hell Boarding Pass. 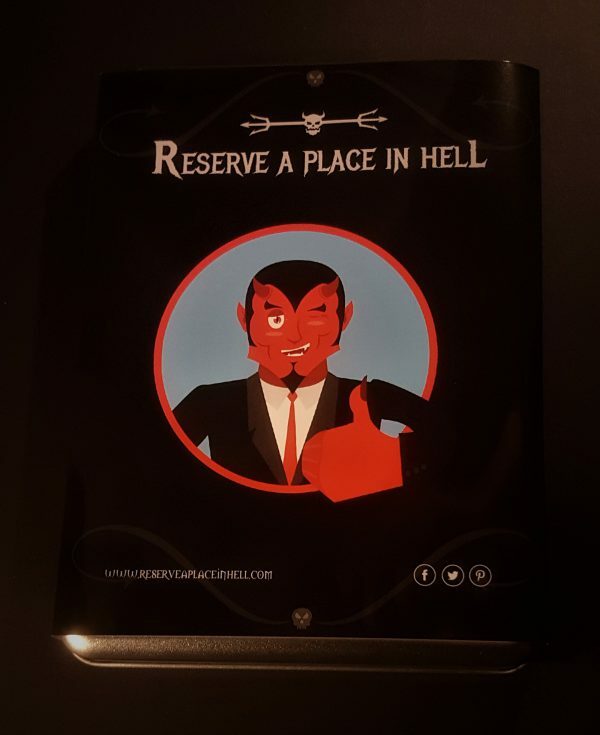 Devilish menu of torment in the restaurant of the restless. 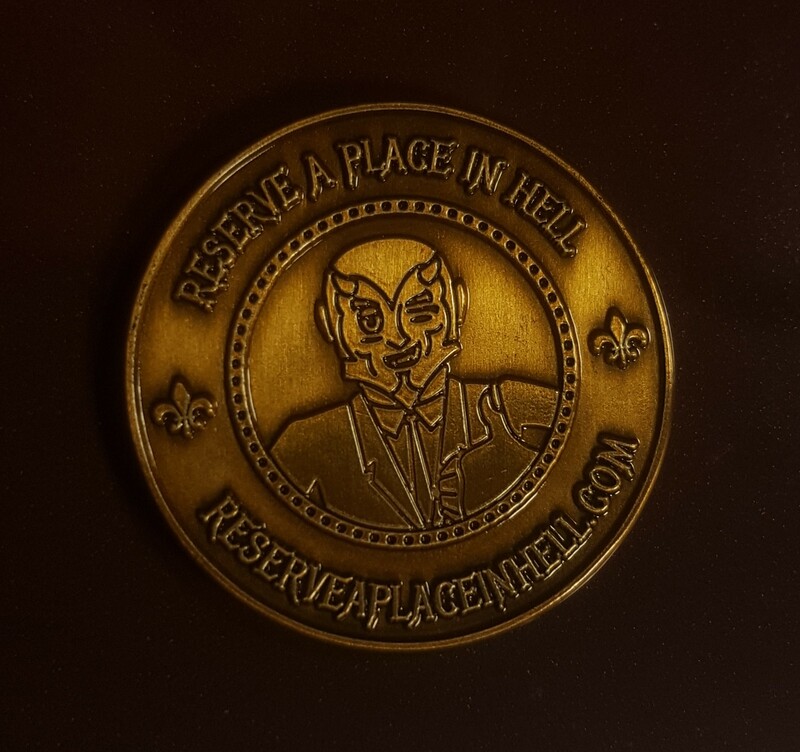 Official Reserve a place in hell golden coin to ensure your safe passing. I got one of these for my brother because he is a little S**t. Love IT!